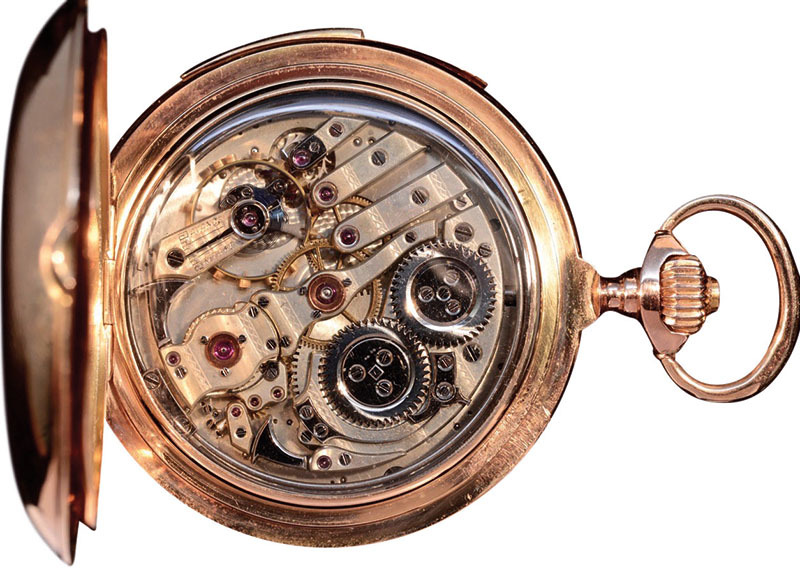 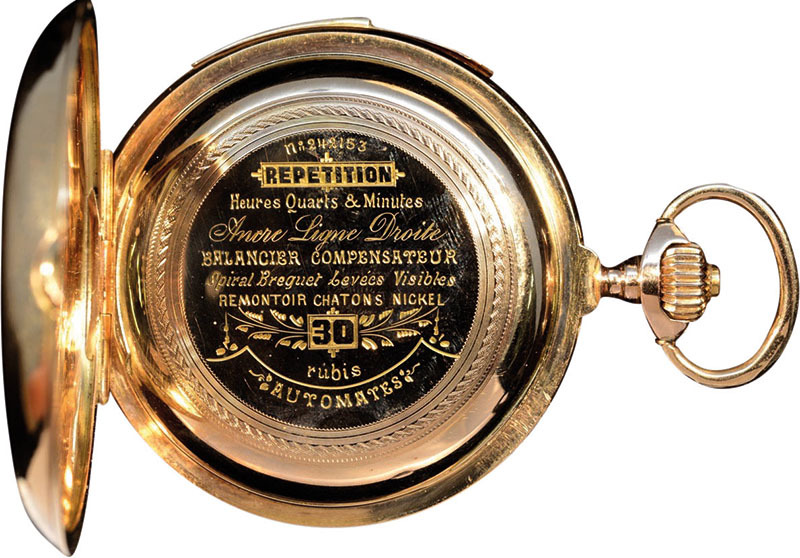 This exceptional automaton minute repeating pocket watch by Jaeger Le Coultre is a marvel. 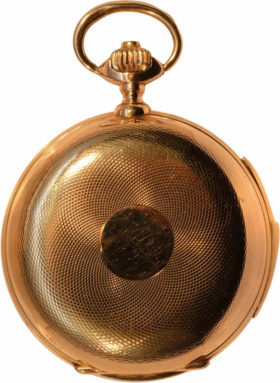 The heavy engine turned hunter case is done in 14K gold. This watches houses a high grade 30 jewel movement with a slide repeat lever activating the hour, quarter and minute strike, on two gongs at will.The cuvette is engraved with the specifications of the movement.The extraordinary feature of this minute repeater is a colorful and elegant hand painted enameled dial depicting two maidens in a garden, one bearing a cornucopia and the other a basket, both with bouquets of flowers. 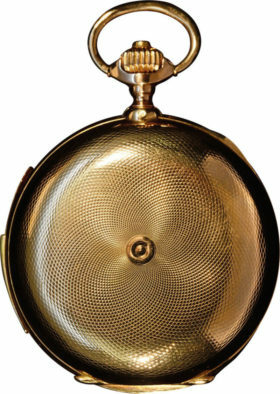 The maidens strike two bells in synchronization with the tuned gongs. 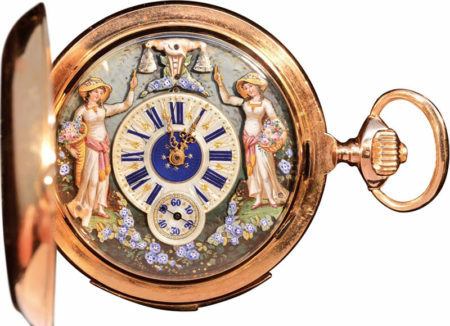 The dial features pierced gold scroll form hour and minute hands, with a blued steel hand on a seconds dial at the six o’clock position.